You are here: Home / Freedom Blog / Find out how you can build an affordable new home in Port Stephens. Find out how you can build an affordable new home in Port Stephens. Welcoming a new addition to the Freedom Homes finished home builds portfolio. 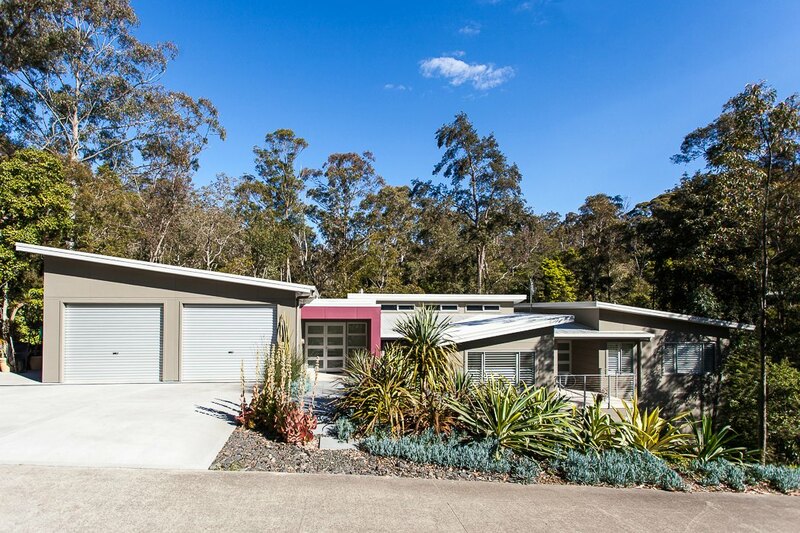 Showcasing this stunning quaint new home sitting in a location to envy in beautiful Port Stephens. Our team has recently constructed an affordable roomy three bedroom home which includes an en-suite bathroom and double garage, built for under $300,000. The build cost of this home included flooring throughout the home, split system air conditioning and a lighting package that included ceiling fans to all three bedrooms. Carpets were chosen for the bedrooms and popular laminate flooring was installed to hallways and living spaces. To complete the home outside, the alfresco and front porch were tiled and a quality driveway and brick rendered mailbox were installed. With all of these inclusions we think that you will agree that this home really does represent excellent value for money! The layout of this home is spacious and functional with a focus on open plan living. The modern choice of flooring compliments the contemporary fixtures throughout the home. Sliding doors were installed to access the outside alfresco area from the dining room which allows plenty of natural light into the main living spaces of the home. The kitchen has plenty of cupboard and bench space with a nice flow onto the dining and living areas. The design includes a large pantry, under bench oven and a breakfast bar with a trendy mirror splashback. These practical inclusions are great for families or couples. The large windows in the living area allow plenty of natural light and cool breezes into the home. When building a new home it’s important to maximize the use of windows for light and space without compromising on privacy. This newly completed home shows real ability for anyone wanting to get into the market. Affordable housing options are becoming very limited in Port Stephens and the surrounding areas but Freedom Homes are committed to helping home owners and investors build affordable homes. Freedom Homes have delivered a quality family home that is ready to move into and start enjoying immediately. If you are interested in talking to us about the possibility of building a new home like this one, give our friendly team a call on (02) 49648400 and we can discuss making your dream of home ownership a reality. Click here to visit our Facebook page to view our newly completed homes.